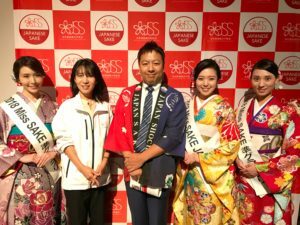 1 Asami Sudo, 2018 Miss SAKE, joined the All Japan Kampai event on the SAKE Day with Miss Masayo Hori and Miss Aya Amelia Kodama, 2018 Miss SAKE runner-ups. 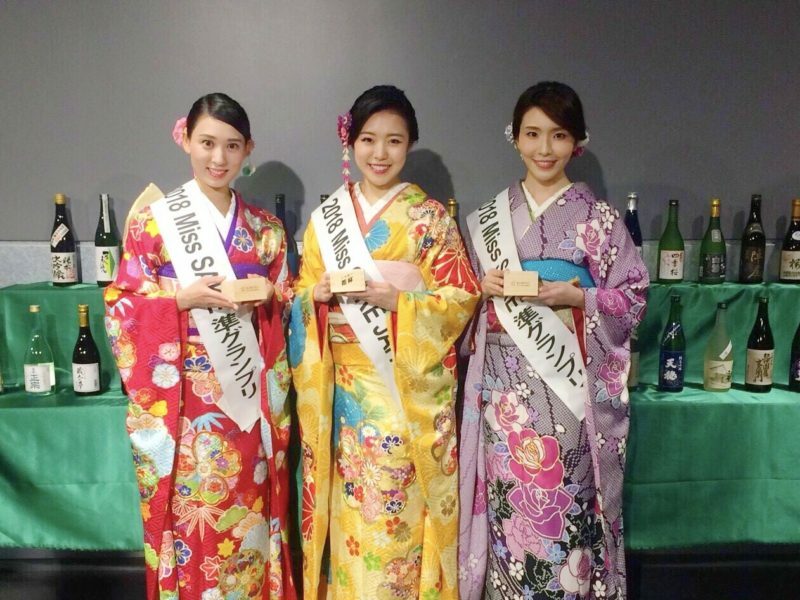 Asami Sudo, 2018 Miss SAKE, joined the All Japan Kampai event on the SAKE Day with Miss Masayo Hori and Miss Aya Amelia Kodama, 2018 Miss SAKE runner-ups. On October 1st, the SAKE Day, I joined the All Japan Kampai event at Shibuya Stream Hall with Miss Masayo Hori and Miss Aya Amelia Kodama, 2018 Miss SAKE runner-ups. Summer is over and the harvest season has come. 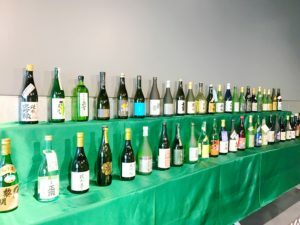 Historically, most SAKE brewers used to begin brewing in October when new SAKE rice is harvested, so the BY, Brewing Year of SAKE, once used to run from October 1st. 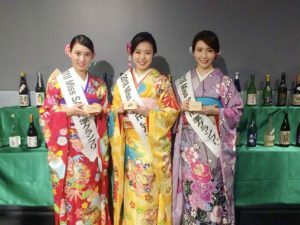 According to the widened variation of brewing schedule, BY now starts on July 1st. But the historically important day for sake brewing has continued to be celebrated as the SAKE Day. 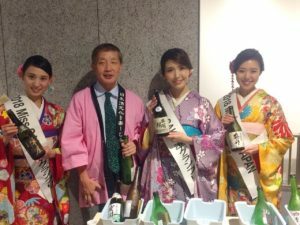 This year, to celebrated the SAKE Day all around Japan, the special Kampai event was held, which was live streamed on Youtube, too. 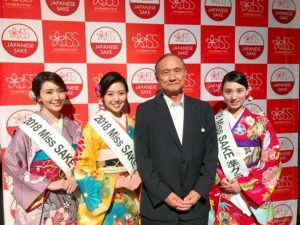 At the event we, Miss SAKEs, attended the Kagami-Biraki ceremony praying for good sake brewing of this year. 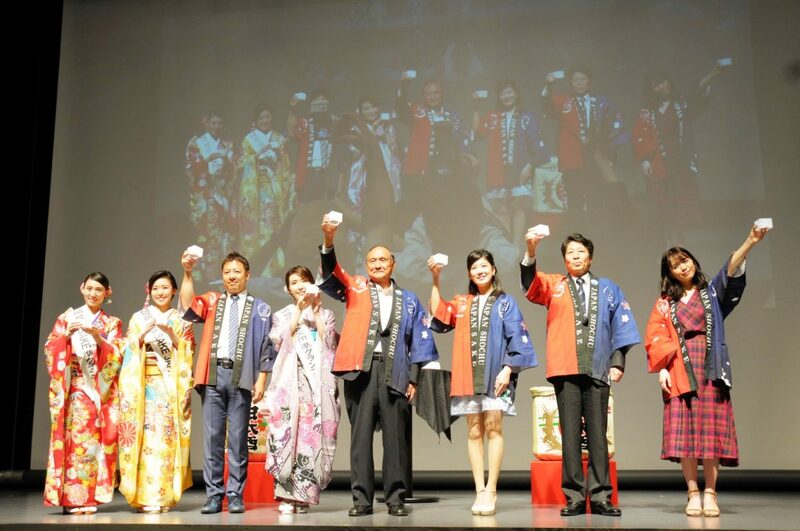 And following the Kampai call by Mr. Shigeyuki Shinohara, the president of Japan Sake and Shochu Makers Association, JSS, we made a celebration toast with all the people at the venue. 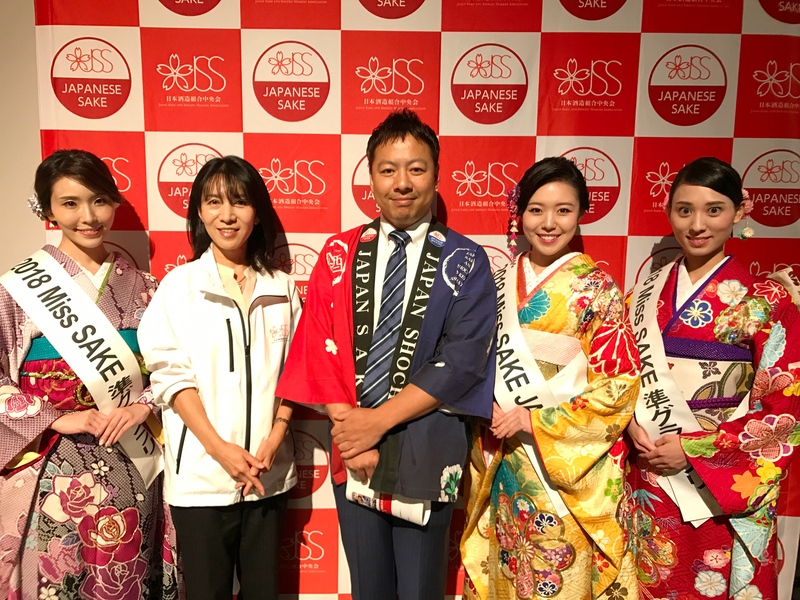 After that, we also made a toast with people in HongKong on the video phone, following the Kampai call by Mr. Kensuke Shichida, the chairperson of JSS demand development committee. By joining the event, we could once again feel the unifying power of SAKE which has continued to attract us from old times. With a gratitude to nature and work of farmers and brewers, we’d like to continue to try our best to share the greatness of SAKE and Japanese culture. 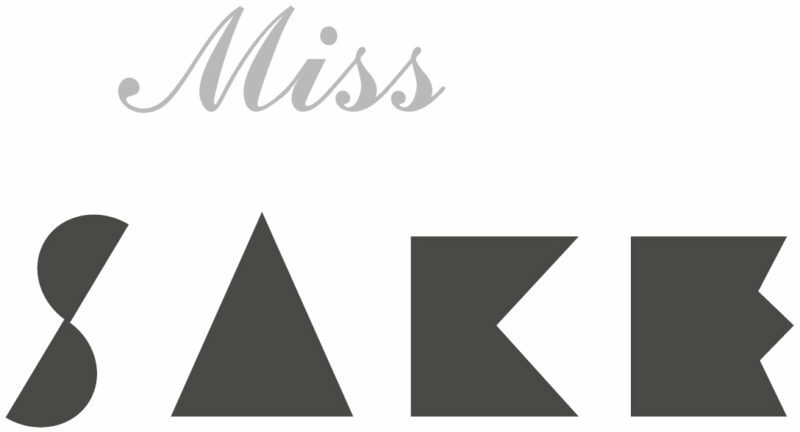 We extend our appreciation to all the people involved in the event.